Nerve pain is a growing problem for many people who find that its debilitating symptoms can leave them in agony and unable to perform their daily duties. Nerve pain occurs when damage is involved to the nerves in the brain and the spinal cord. This can also occur in the peripheral nerves, located throughout the rest of the body. Nerve damage can produce a variety of symptoms including the inability to sense chest pain like angina or heart attack, excessive sweating, dry eyes and mouth, bladder dysfunction, constipation, lightheadedness and even sexual dysfunction. There are more than 100 different types of nerve damage and many people with the symptoms usually have two or three different kinds of nerve damage. One such sign is simultaneously experiencing weakness or burning in the legs. Being aware of the damage to nerves means watching out for symptoms of weakness, paralysis, muscle atrophy and twitching. Many autoimmune diseases, motor neuron diseases, cancer, diabetes, infectious diseases, nutritional deficiencies, drug side effects and compression/trauma can cause nerve pain. In some instances it can not be cured completely, although there are various symptoms that can reduce symptoms. At its core, the most important factor is to address the underlying issue that’s causing the nerve pain or damage in the first place. This means reducing the likelihood of permanent damage in the long term. The commonly held belief is that painkillers, the right medications or physical therapy will provide effective pain relief. Yet here are 5 naturally effective solutions that can make a lasting difference when it comes to improving and even preventing the pain in the first place. Magnesium is an essential mineral that the body needs for good nerve cell health and nerve transmission. Several hundred biochemical responses rely on this essential mineral in order to function properly. Magnesium also plays a vital role in coating the myelin sheath around the nerve cells, meaning that it can prevent the activation of receptors found in nerve cells that are regulating pain. Applying magnesium directly onto the skin is recommended as it’s more rapidly absorbed into the bloodstream when compared to an oral supplement. 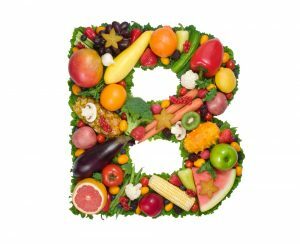 Nerve damage can stem from a lack of sufficient B-vitamins especially Thiamin, B6 and B12 that can potentially help to heal nerve damage. Vitamin B12 (Methylcobalamin) takes up the neurons and promotes the rejuvenation of nerves while reducing excitotoxic injury and reducing pain. Research has also shown that methylcobalamin can help to reduce the pain of diabetic neuropathy, neck pain, low back pain, and various types of neuralgia. This powerful antioxidant can support nerve repair and function. Its therapeutic uses have been highlighted due to it being a neuroprotective agent for periperhal nerve injury repair in diabetes mellitus amongst other conditions. 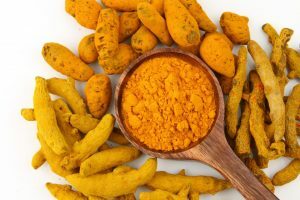 As Curcumin is recognised for its nerve rejuvenating properties, it’s ideal for sciatic nerve pain, pinched nerves or neuropathy and speeding up the recovery process. 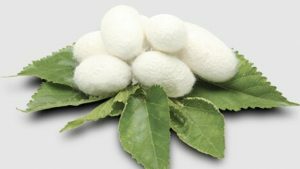 Known as a proteolytic enzyme that’s originally derived from the silkworm intestine but now manufactured in a laboratory, Serrapeptase can safely dissolve and eliminate inflammation such as dead scar tissue within the body. Serrapeptase can also relieve painful symptoms that occur as a result of the body trying to fight the inflammation. The Ancient Chinese system of medicine uses acupressure points to stimulate blood flow and encourage circulation. Acupressure uses fingers placed on specific points of the body to reduce tension and promote a deep state of relaxation. By stimulating the appropriate acupressure points, it’s possible to improve tingly, burning or prickly symptoms of neuropathic pain and to help find relief for dull pain or stiffness. These are just some of the many natural methods and techniques that can be used to relieve nerve pain so that you can go about your every day activities without stress or tension. 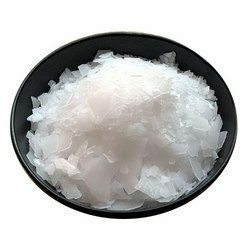 Using natural pain relief techniques is often recommended as they don’t have the same unwanted side effects on health in the long term – the key is to find the method that works for you, alongside following a really healthy diet and lifestyle.